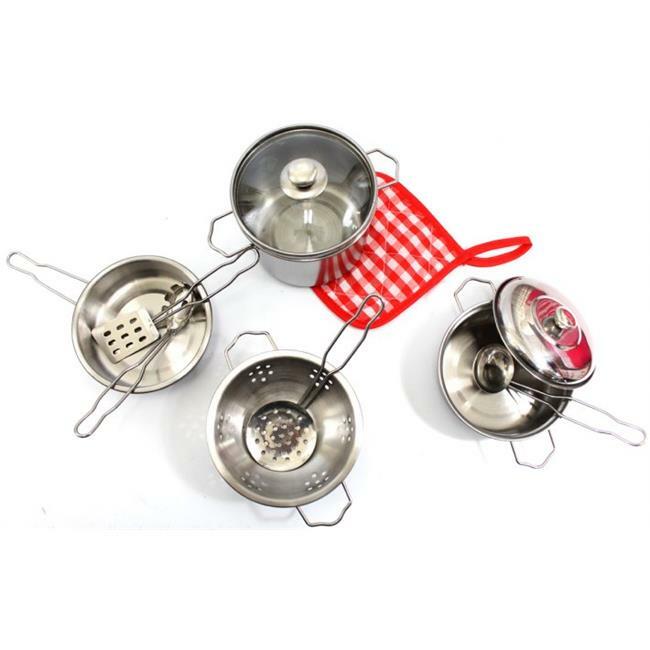 ›AZ Trading & Import PS572 Kitchen Cookware Metal Pots & Pans Playset, 18 x 15 x 18 in. AZ Trading & Import PS572 Kitchen Cookware Metal Pots & Pans Playset, 18 x 15 x 18 in. Size: 22 x 16 x 18 in. AZ Trading and Import is one of the leading manufacturers of Radio control toys and gift articles. Our product line includes R/C Boats, Cars, Helicopters, Drones, Robots, Trucks and water toys. Our product comes out in attractive colours and designs. Our high-quality, toys, games, and gifts entertain and keep your kids active. We make your kids more creative and imaginative through our products. This wonderful kitchen playset comes with four different pots and pans - each with different shapes and sizes. Your child will love playing with this kitchen playset. 22 x 16 x 18 in.